Google Adsense is one of the best ways to make money from your site. You might not become a millionaire with your Adsense monetized properties but with some luck, and above all knowledge about what works with Adsense sites and what doesn't, this could become a stable source of income for you. How Much Can I Make With Google Adsense? This is a question almost everybody asks before jumping on the Adsense wagon. There isn't a universal answer &dash; some Web masters are making a fulltime income from a single Adsense site, while others with 5 or more sites can't even cover their hosting fees. How much you will make with Google Adsense depends on many factors. Some of them are outside your control - i.e. the overall state of the economy or what advertisers Google has managed to attract. However, there are also many factors within your control. For instance, obviously, if you have one site with 10 pages only you will make thousands of times less than if you have 10 sites with thousands of pages. Basically, all equal, the more content you have, the more you will make. However, in addition to sheer volume, there is one more very important consideration &dash; what your site is about, or to put it more professionally, which niche your site is in. Different niches aren't equal &dash; there are more and less profitable ones. There are niches, such as health or finance, where high value clicks are common and niches, such as culture or history, where you can make almost nothing with Adsense. This is why you need to choose a niche where clicks pay well. It is true that good niches are very, very competitive but even in the most competitive niche, there is always place for one more good site. After you choose the niche, you need to find the high volume keywords in it and optimize your site for them. To search for keywords with high search volume, use the AdWords tool. Strategic placement of the ad units is vital for your profits. Quite logically, when you place ads where they are visible, this seriously increases the number of clicks you will get. The best places are above the fold (i.e. in the top half of the page) and in the text itself. Basically, the closer the ads to the text are, the better. You can have a look at these AdSense placement tips from Google to see which places are considered good, best, and worst for ad placement. Adsense offers numerous sizes in the form of rectangles, squares, buttons, and bars but the truth is that only some of them convert well. Generally the sizes Google recommends are 300 x 250, 338 x 280, 728 x 90, 160 x 600, and 320 x 50 (for mobile banners). The first two are suitable for intext use, the third is suitable to put under the site header, and the 160 x 60 one works best under the menu, if you use left/right menu navigation. Of course, you can also experiment with the other available sizes and see if they work better for you. You are allowed to run up to 3 ad units, 3 link units, and 2 search boxes per page. This means for ad units and link units you need to choose multiple units, preferably in different sizes. For instance, you can choose one 728 x 90 or 160 x 600 unit for under the header/the side menu and two more, i.e. 300 x 250 and 338 x 280 for inside the text. As for the type of ads, the choice is between text, text and image, and image only ads. Usually plain text ads work better because images are too obtrusive to attract clicks but you should try for yourself and see what makes you more clicks. A common mistake many people make is not to use link units. Link units can outperform normal ads because they are less obtrusive and if you blend them with your menu, people will click there. You can put one 728 x 15 link unit under the header and one 160 x 90 under the side menu. You can make the link color the same as the color of the items in menu but don't use the same font type and font size because this could be considered a form of format mimicking and could get you penalized. Link units aren't the only ones that can benefit from the right color. However, with them it is easier &dash; just use the same colors as you do in the menu and you are done. With normal ad units, this isn't that straightforward. Basically, the options here are to blend the unit (i.e. make the links and text in the same color and size as your text), use a contrast scheme (i.e. if your site is in green, use red for the ads) so that the ads stand out from the rest, or stick with Google default. Which one is best? Nobody knows! What works for one site (i.e. blending) will not work for another. So the only thing you can do here is to use the trial and error approach and see which of the three works for you. Or, if you want a more scientific approach, try AB tests. 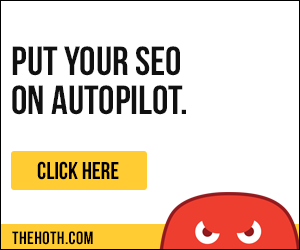 Run the test for a month or so and track which unit attracts more clicks. Of course, you can never be sure the difference in clicks is due solely to the difference between the two units because random factors always kick in but if it is quite a difference, then you know which way to go. Finally, one really important prerequisite for making money with Adsense is traffic. You might have an incredibly high CTR but if you don't manage to drive traffic to your site, you won't be making money. The most important free traffic source are search engines. Traffic from search engines is targeted and as a rule it converts well. Our site offers quite a lot of resources about how to make your site rank well with search engines, so take the time to browse it and get familiar with SEO. If you have absolutely no idea about SEO, you might want to start with the 15 Minute SEO guide, or read the SEO tutorial. Traffic from search engines converts best but you should never allow yourself to be dependent on it. Google Panda update was one of the most bitter lessons for many webmasters, when their sites dropped in rankings and their traffic hit bottom. You shouldn't neglect traffic from other sources, such as social bookmarking sites, Twitter, Facebook, and any other free traffic. If you do everything properly but you don't see much in your Adsense account, don't get desperate. The reasons for poor Adsense income can be numerous. Try to find them and correct the issues (i.e. wrong niche, bad placement of ads, inadequate ad sizes, types, and colors, etc.) If this doesn't help, consider the numerous Google Adsense alternatives. In general, they bring less revenue than Adsense but who knows, for your site it might be just the opposite. Just keep on trying and sooner or later you will make it!